From now on, the BlueMelon users can enjoy collections : a collection is what you could think of as a shared album - any number of people can add photos to them - not only the collection creator. You can join or leave a collection at any time. If a user leaves a collection, or if an administrator removes the user from the collection, all of the user's items are removed from the collection as well. Free users may create or join the maximum of three collections at a time while subscribers may participate in any number of collections. However, a single photograph may be - at the time being - added to the maximum of 30 collections. You can add photos to a collection or remove them from one at any time. If you wish to do this in bulk, you can use the bulk organizer which makes it possible to manipulate several photos at once, even if they are placed in different albums. The person who creates a collection, becomes its administrator. An administrator can invite others to join the collection, and remove existing members from the collection. An administrator can also remove individual photos from the collection. 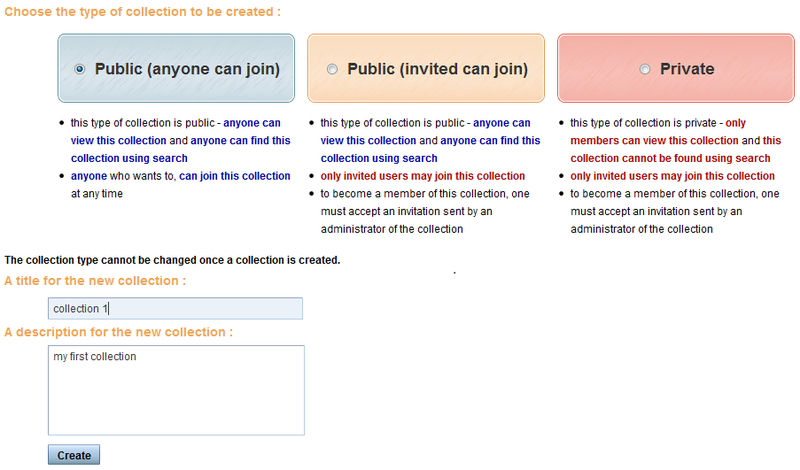 To invite a user to join a collection, you can use the "Invite People" link, as long as you are an administrator of the collection.